Mr. Tony Cunningham, Power Providers Limited. 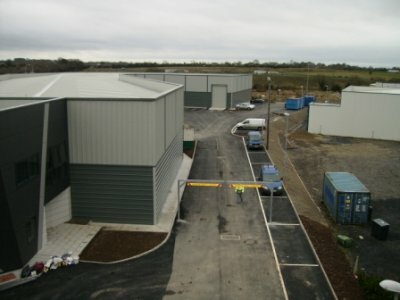 Located in a prime industrial area, this warehouse and office development at Raheen, Co. 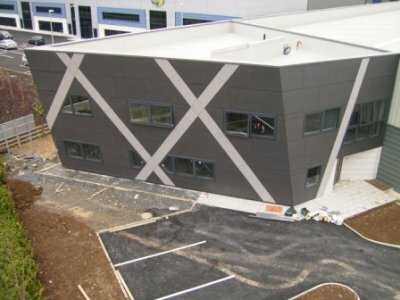 Limerick consists of a 4,500m² single storey warehouse coupled with an adjoining 500m² two-storey office building. Situated in close proximity to the bustling city centre, the warehouse includes the use of a steel fibre reinforced concrete floor slab, suspended on precast piles &ndash; an innovative approach to building superior warehouse floor slabs to house tall racking systems.